Visiting the doctors shouldn’t be something to worry over; we’re here to help get you back on your feet, after all. No matter how long it may take, the comfort of our patients is our number one priority. Our medical team are composed of Dr. Aladdin Geleidi MBChB, Dr. Abdel-Malak M.D, Dr. Ben Sefcik (Podiatrist) and Dr. Deepak Khosla (Specialist in Opthalamology). Our medical center and doctors’ facilities are located on the second floor of our facility. Here we supply long-term chronic pain care through AHCS as well as dental, podiatric, chiropractic, cosmetic and professional laser tattoo removal services. We always try to provide a friendly and relaxed environment to put patients at their ease, and we strongly believe that this is what makes us special in the Airdrie area. 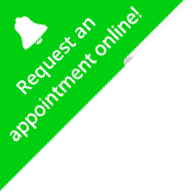 Although we can’t always commit to accepting new patients, we invariably enable you to receive walk-in care during the earlier hours of our working day, and you need only call us in advance to enquire if a doctor is available to see you. We’ll always try our best to make sure you get the level of care you need. If you live in the Airdrie area please consider us for your healthcare needs. Call us at 587-332-6767 extension 2 to reach our medical team.